Om How my Karma led me to the feet of the Sage. Over 20 years ago, I had a short stint in the tinsel world in which I worked as a motorcycle stuntman and later on as an actor too. Just before the completion of the shooting of my first film in which I acted, I had a major road accident and suffered very serious injuries. It was Divine Grace that prevented my soul from departing my body at that time. I would not like to say much about my injuries because my description of them may tend to turn graphic and gory. Thanks to the blessings, love and support of my family and friends, I could stand up and move around a bit about 4 months after the accident. I completed the work and the film was released to become a hit. After the release of the film, which was my first one as an actor, I was pleasantly surprised to see that I had fans and followers. Among them was a young man from Kanchipuram. He was from the IT field but he was very closely connected to the Kanchi Mutt. After coming to know about my modest but spiritual family background, he asked me one day, if I would be interested in meeting the Sankaracharyas of Kanchi. He told me that if my destiny would support me, I would not only get to have the darshan of the Mahaperiyava, Pudhu Periyava and Bala Periyava, but also get to speak with them. As I worked in the film industry, my friend was somehow a bit hesitant while he proposed his idea to me. This was because he was unsure of my own spiritual leanings. He was pleased when I immediately agreed and asked him when we could go to Kanchipuram. We lived in Madras then. He then quickly went into his room and made a few calls and told me that we could leave for Kanchi at 5 AM the following morning. That was unbelievable! I thanked my Karma. The next day we reached the Mutt and my friend took me inside. He led me straight to the area where Bala Periyava was seated. My friend introduced me to the young sage and briefed him about me and my interesting profession. Bala Periyava , my friend and I spoke about general topics. After having spent an hour there, we walked to another section of the Mutt and we saw Pudhu Periyava there. My friend introduced me to him too and I sought his blessings. Deep in my mind I was longing to see Mahaperiyava and I strongly believed that I would be seeing him that day. However I was not destined to see him that day. My friend told me that due to various reasons, it would not be possible to meet Mahaperiyava and that we had to return to Madras without his darshan. My friend told me, ‘varuthap padaadheengo Anna, dhyaanam pannungo, azhaippu kandippaaga varum’ which means, ‘Don’t worry brother, continue meditating – you will certainly be called,’ and we returned to Madras. 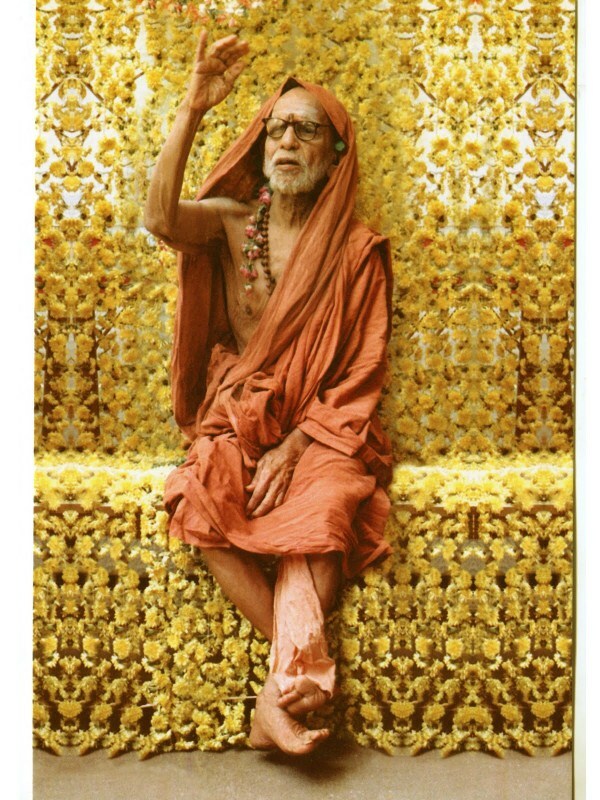 During the drive back, I visualised myself sitting at the feet of Mahaperiyava and him blessing me with both his hands. A week after that, I started to notice unpleasant symptoms in my nasal area and palate. One of the injuries I had in the accident was a broken palate and jawbones. Little bone fragments that were dislodged had remained in the sinuses and nasal septum and they caused infection. My face was swollen and I could feel the infection. It was terrible. As I said, I will not describe beyond this. The specialist gave me a date for the surgery. I stood at a point from where I could see the ladder of success in my new career in the film world but I also knew that infection inside the face near such sensitive areas could be dangerous and it could destroy my face forever. 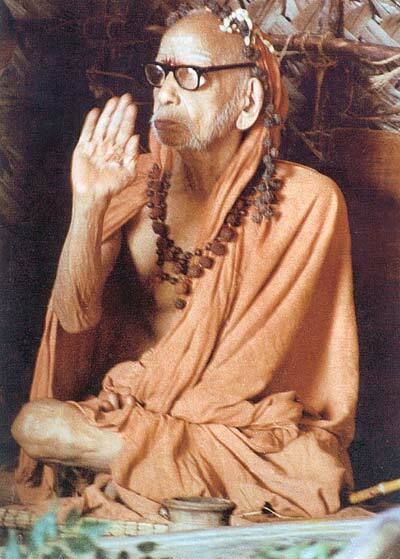 My friend from Kanchi suggested that we go to the Mutt at the earliest to seek the blessings of Mahaperiyava. My parents had made a vow to visit Tirupati after I was saved from the risk of life that I was under. 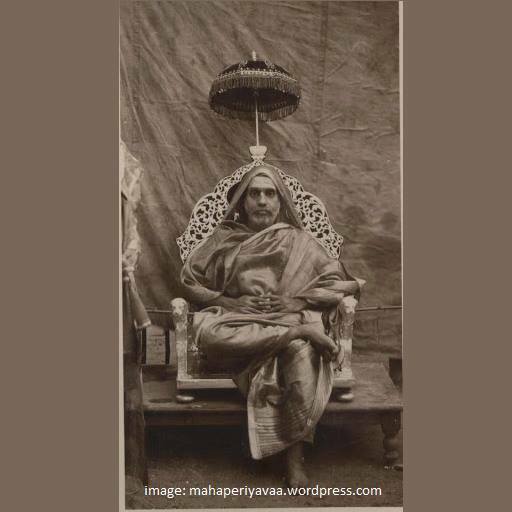 That night, I meditated upon Mahaperiyava and pleaded him to bless me and save my life, which was about to be ruined right at the beginning of my career and my life as a youth. My friend rang my doorbell early the following morning and we along with my parents and sister, left for Kanchi. We arrived at the Mutt and we walked in. That experience, that feeling of my heart racing, my longing to see Mahaperiyava, my devotion and my strong faith gave me a dream like feeling. This time we could go straight to Mahaperiyava, while my parents and sister waited outside. I was taken deep inside the Mutt. There I saw him for the first time in flesh and blood, he was about 97. What a divine feeling I experienced around him. I felt as if I was about to meet God. I felt very nervous. On one hand the fear caused by the infection that I was suffering from, and on the other, coming to terms with the reality that I was actually standing there in such proximity to the one and only living Sage, the Great Paramaacharya. He was getting ready to step out to see the hundreds of devotees who had gathered outside. But he signalled me to sit down. I sat down at his feet and it was almost exactly as I had visualised during my previous drive back to Madras. 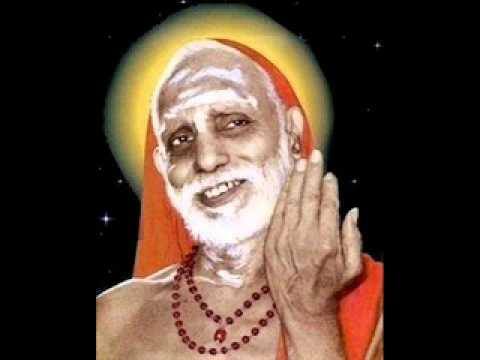 My friend whispered my problem to Pudhu Periyava and he communicated it to Mahaaswamy. My friend explained to him again the seriousness of the infection that I had. His Holiness closed his eyes for few seconds, put his hand into a cloth bag beside him and took an apple out of it. He raised both his hands and blessed me as I prostrated before him. He dropped the apple into my cupped hands that I held out. I was choked with emotion. Paramaacharya looked at me and I felt he said to me ‘Deergaayushmaan bhava, kavalai padaadhey’, (Live long. Don’t worry). I had to leave because Mahaperiyava had to give Darshan to his devotees waiting outside. We returned to Madras thrilled and excited. I went for the surgery in a few days that followed and the bone fragments were removed by the surgeon. It’s now been over 25 years since then and I live a healthy life. The friend who actually took me to the Ashram lost contact with me over the years. I guess it was his Karma to lead me (as per my Karma) to the feet of the Great Sage of Kanchi. I must have collected some amazing positive Karma during my previous lifetime. 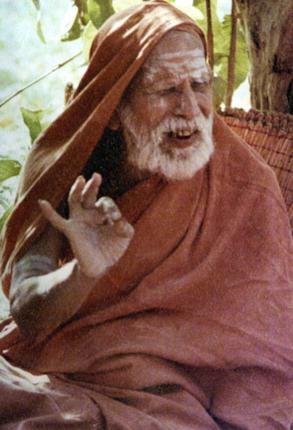 Mahaperiyava is always there for his devotees. Contemplating upon him with total concentration for about 15 minutes is enough to mentally connect a true devotee to the Great Sage of Kanchi. By the way, I am still looking for that friend of mine. Shankaranarayanan is his name.